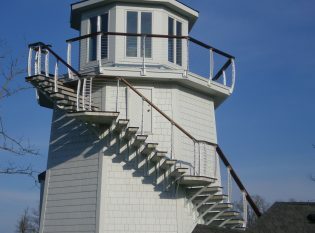 Material and Finish: White powder-coated steel posts with wood top rail. 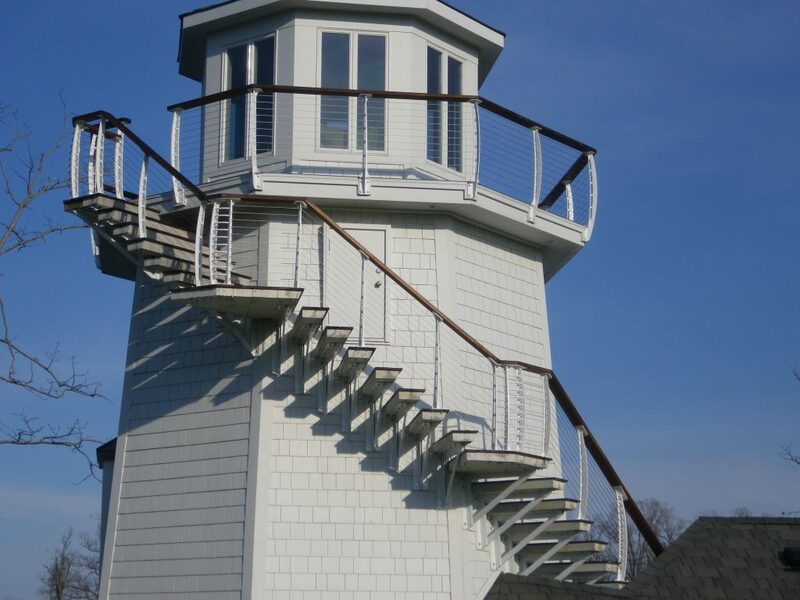 Our client in Grand Rivers, Kentucky owns a beautiful lake house attached to a white lighthouse. 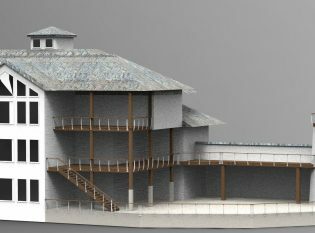 The home features a ground-level outdoor living space, an exterior staircase, and two tiers of covered porches. 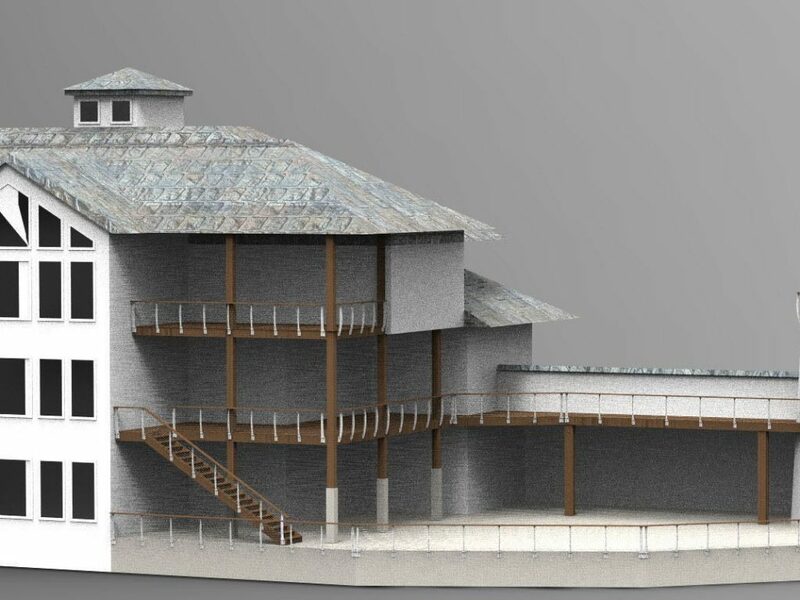 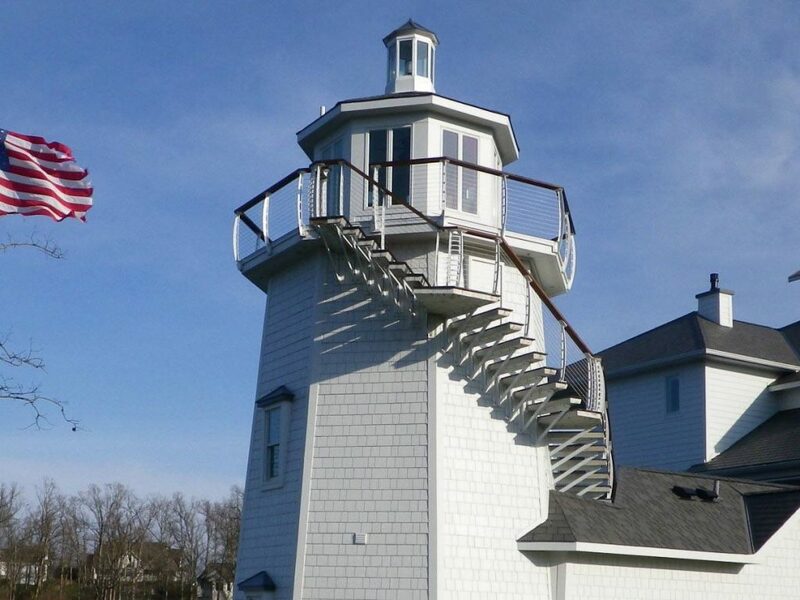 The lighthouse has an observation deck and a wrap around staircase. 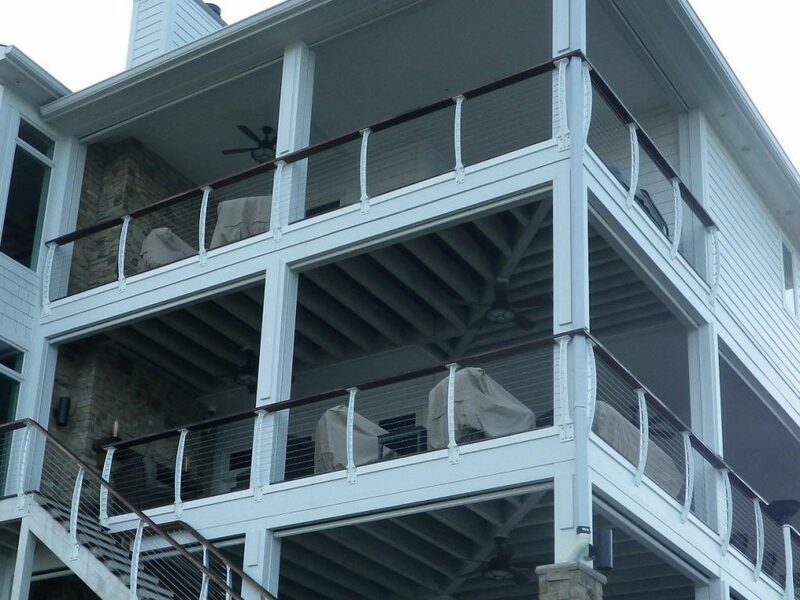 When the homeowners approached us about fabricating a complete railing system for the property, we recommended our nautical Keuka Style design. 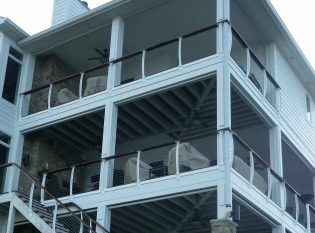 To match the home’s exterior, the homeowners chose a dark wood top rail and a white powder coat for the railing posts. 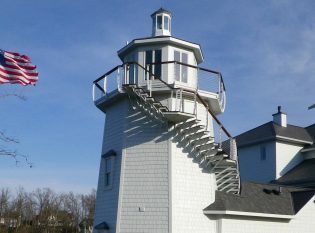 As a result, the house and lighthouse have a clean and cohesive look.